Bear Bracelet by Robert Taylor! This lovely sterling silver cuff bracelet was beautifully crafted with 5 overlaid (finely soldered on) 14kt Gold BEARS. 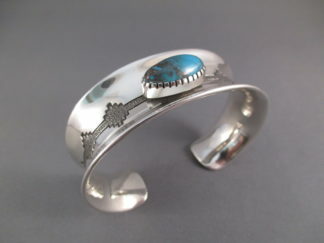 Made by award-winning Native American (Navajo) jewelry artist, Robert Taylor. 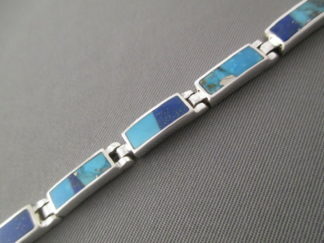 “Healing Hands” were used to finish each end of this bracelet (Robert Taylor’s father was a Medicine Man).